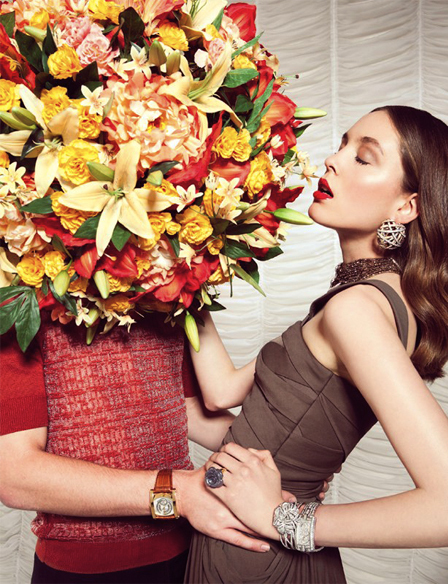 Art Director, Gael Roussel commissioned me to make this ‘flowerhead’ for a shoot in this June’s issue of JFW (Jewels, Fashion and Watches) magazine. 2011. I particularly love the final shot where our gentleman has been plucked….